Ava Kolker Photos, News, and Videos | Just Jared Jr.
How adorable is this pic from the new episode of Sydney To The Max?! In the episode, “Caved & Confused”, Sydney (Ruth Righi) enlists Grandma Judy (Caroline Rhea) to help her redesign the basement into their very own “girl cave”, where she hosts the coolest 50s-themed party with her friends to celebrate her new space. 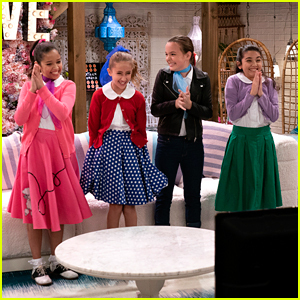 JJJ spoke with Ruth and Ava Kolker, who plays Olive, ahead of tonight’s ep to see what their fave parts were – and it’s all about the girl cave! Ruth and Ava also told us about the parties they want to throw one day. “I have never thrown a themed party but if I could, I would throw a Hogwarts-themed where people could dress up in colors from their house and I would serve chocolate frogs and pumpkin spiced drinks and everyone would get their personalized wand,” Ruth says. We’d totally go to that! Sydney To The Max airs TONIGHT @ 8:30PM ET/PT on Disney Channel. Peyton Elizabeth Lee rocks a cool red patterned dress while arriving at the premiere of Kim Possible held at The Television Academy on Tuesday night (February 12) in Los Angeles. 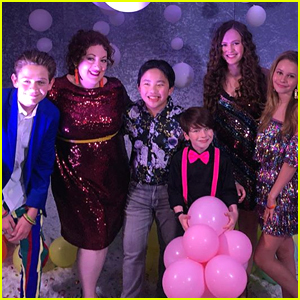 The Andi Mack star joined her co-stars Luke Mullen, Lilan Bowden and Trent Garrett at the event, along with Fast Layne stars Sofia Rosinsky and Sophie Pollono. Coop and Cami‘s Ruby Rose Turner, Olivia Sanabia, Dakota Lotus, Paxton Booth and Albert Tsai; Parker Bates, Ava Kolker and Jacob Hopkins ere also spotted on the green carpet. Kim Possible premieres Friday, February 15th @ 8PM ET/PT on Disney Channel. 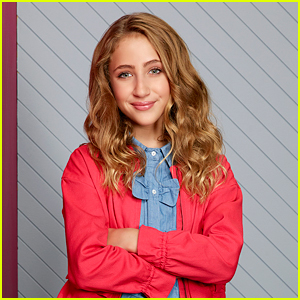 Ava Kolker is about to premiere her brand new series, Sydney to the Max, on Disney Channel this week! JJJ had the chance to chat with the 12-year-old actress about her new role as Olive in the show, and how playing Ava in Girl Meets World helped prepare her. Ava also opened up about how her recurring role in Girl Meets World, helped prepare her for Olive. 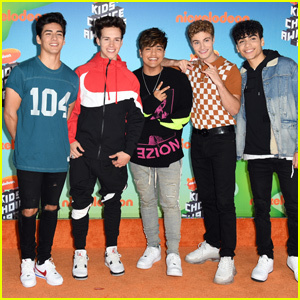 Sydney to the Max premieres on Friday, January 25th on Disney Channel. Stay tuned for more interviews!